Shred Her is a thermogenic fat burning diet pill for women. It’s manufactured in the USA by NLA for Her. The company was founded in Los Angeles, has been trading since 2012, and is apparently on a mission to provide women (of all fitness levels) with the best tasting, most effective sports supplements on the market. They are also using athlete Jessie Hilgenberg in their marketing regime. What is Shred Her and How Does it Work? Shred Her is first and foremost a thermogenic fat burner. Supplements that are designed to work in this way contain ingredients that have been chosen for their ability to initiate a slight rise in body temperature. This causes an increased amount of energy to be lost from the body in the form of heat. The energy that is lost generally comes from the calories the body has been forced to release from its stores of fat. 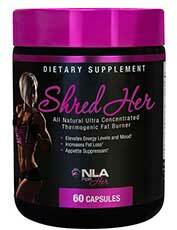 The Shred Her formulation also contains ingredients intended to provide extra energy. When people are dieting the resulting lack of calories often causes fatigue, so many diet pills are designed to give energy levels a boost. The extra energy can also be useful for people who want to step-up their level of activity in the gym or on the track. We all need food, but too much of a good thing is not conducive to a shredded physique. The average woman only needs around 2000 calories per day, and resisting the temptation to over indulge can be a challenge. Shred Her is designed to make calorie control easier by helping to suppress hunger urges. Vitamin B6 (10mg): A nutrient that offers many health benefits. It has probably been included here because it helps ensure a healthy metabolism and the metabolism governs the speed at which calories are burned. 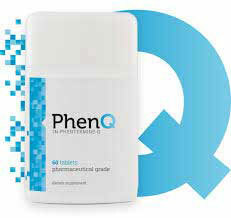 Pantothenic acid (20mg): Also called Vitamin B5. It has probably been added for the same reason as Vitamin B6. The rest of the ingredients are housed in a proprietary blend. Green tea extract: A proven thermogenic fat burner. Green tea is also packed with antioxidants that can help fight disease and support good health. Taurine: An amino acid that is such a good energy provider it is added to many energy drinks, including Red Bull. Caffeine anhydrous: Caffeine is good for boosting energy levels, can help with appetite suppression, and research shows it is a thermogenic fat burner as well. Guarana: A berry extract that is rich in caffeine, but releases it into the body at a gradual rate. It is not as fast acting as caffeine anhydrous, but the benefits will still be apparent long after he effects of the other ingredient have worn off. Citrus aurantium: A citrus fruit extract. It contains the stimulant synephrine and can be good for giving extra energy. Citrus aurantium is also a proven fat burner. Green coffee bean extract: Green coffee beans contain chlorogenic acid. This natural compound has the ability to help regulate blood sugar levels. It is also highly valued for its ability to boost the metabolism and encourage thermogenic fat burning. Raspberry ketones: A phenolic compound that can be obtained from raspberries and some other fruits, or manufactured in a lab. It probably has the most potential as an appetite suppressant, but some research shows it has fat burning abilities as well. Ursolic acid: Although it is not one of the more popular diet pill ingredients, research shows ursolic acid has a lot of potential as a weight loss provider. One pill is required immediately upon waking. A second pill is needed three to six hours later. The pills are only intended for healthy adults, aged 18-60, and are not a suitable option for any woman who is pregnant or nursing a child. People who have existing medical conditions, or are using medication, should consult a physician prior to commencing supplementation. A (60 capsule) bottle of Shred Her costs $34.99 or £ equivalent from the manufacturer’s website. The pills are also available via Amazon, Lucky Vitamin, and from the Bodybuilding.com online store. There is a money back guarantee, but it’s only good for seven days. Shred Her contains several stimulants. This will make the pills unsuitable for people who do not tolerate stimulants well. It also explains why some customers report side effects. Its a good product though. People who are not overly sensitive to stimulants should find it helps them to get shredded faster. Especially if the pills are used with diet and exercise. 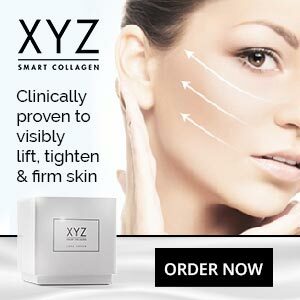 However, although the pills are likely to work, there are other products, designed for unisex use, that can provide similar results, or better, without relying on so many stimulants. 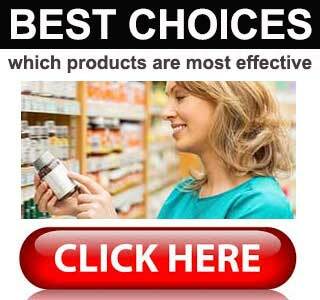 The best diet pill any woman can buy is the one that delivers the most superior results. The fact that it is marketed towards a particular gender should never be a deciding issue.